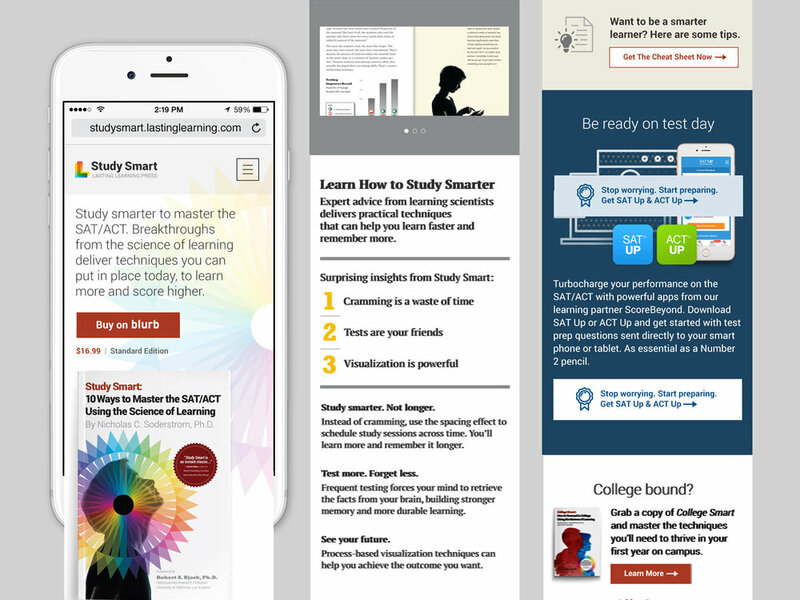 Lasting Learning was developed as a technology/Education startup founded by Stanford Instructors and focusing on providing insights and learning technology for parents. 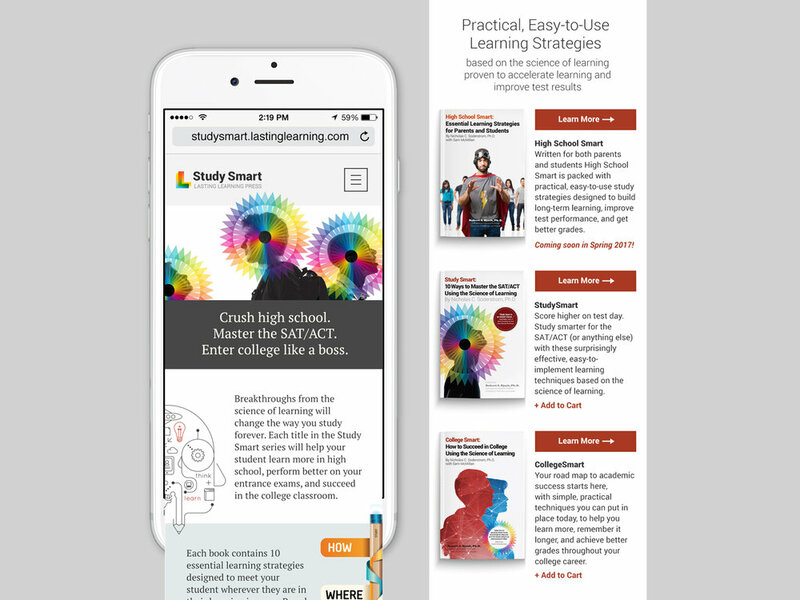 Best practices on how to study and learn in both High School as well as College - provides some incredibly valuable tools that just aren't taught anymore. 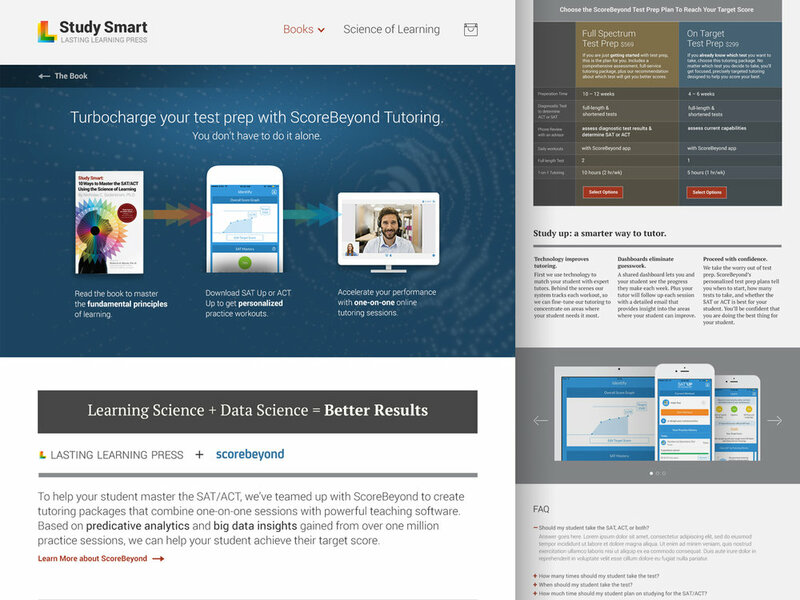 We were asked to help craft a site that introduced the Study Smart brand as well as an advertising program to help promote the books and the online tutoring classes offered. 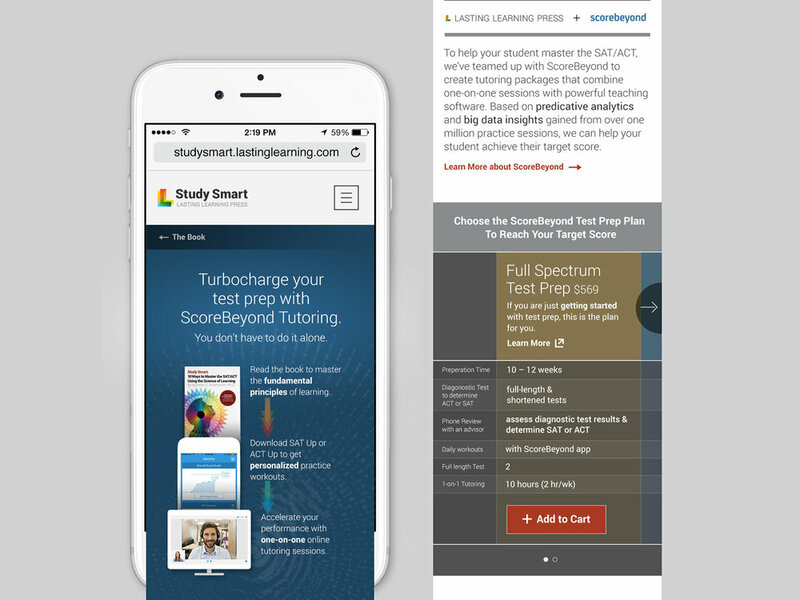 Borrowing from the Lasting Learning brand elements, we focused mostly on building a site that supported responsive design (optimized for Mobile), and emphasized introducing the books and the concepts and then driving visitors to purchase. The site features carousels of information that mobile users can swipe through; as well as videos.